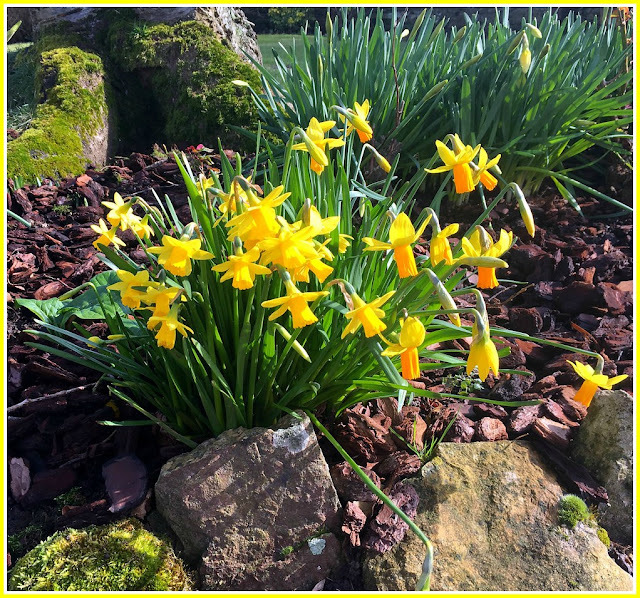 Normandy Life: Mosaic Monday - # 75 - Hugging Daffodils. 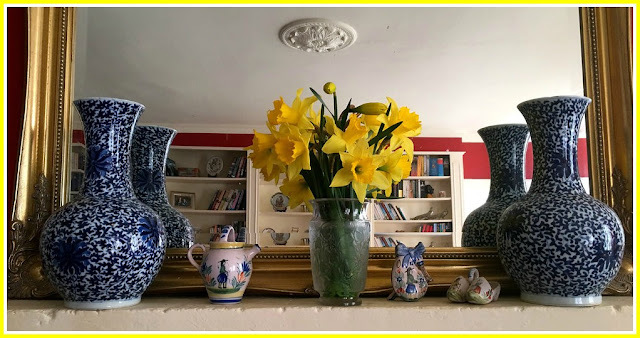 Mosaic Monday - # 75 - Hugging Daffodils. In the week that marked the meteorological first day of spring, March 1st, as in other parts of Europe (Spain; Italy and the UK) some regions of France have been experiencing extreme weather caused by a fierce blizzard blowing in from Siberia. a.k.a. "The Beast from the East" the Siberian blizzard has caused avalanches in the French Alps leading to four deaths and many accidents throughout the country. 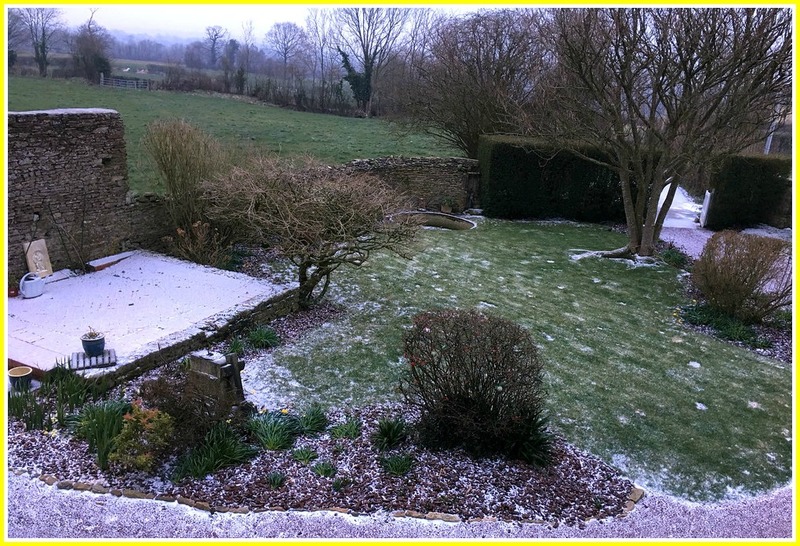 Here in Normandy we got away very lightly with just a slight dusting of snow, the temperature did drop to -4c on Wednesday but felt like -10c because of the bitterly cold wind. My daffodils did not like that at all. The stems and flowers froze as they lay drooping on the ground, too afraid to move them for fear of breaking the stems I had to leave them to fend for themselves. A friend passed on some advice from UK gardening guru Alan Titchmarsh, apparently daffodils go into hibernation mode during such extreme conditions but I was convinced that they were done for. Friday it rained but it wasn't as cold so between showers I rushed out and hugged my daffodils, that's right I became a daffodil hugger. Lifting the stems and flowers, heavy with rain, from the ground and shaking gently helped them to shed the raindrops and stand a little straighter. I repeated the treatment again on Saturday and what a difference it made. Some that I couldn't revive had broken stems so I brought them inside to add a bright ray of sunshine to the mantelpiece. Wow - great rescue - I can't wait for mine to bloom. Maggie, That had to be heartbreaking. I'm glad they are resilient and you have a few to enjoy indoors. Thanks for sharing. Sylvia D.
I'm so glad your daffodils bounced back! That has happened to me and my garden, as or daffodils don't bloom until May and we sometimes will still have snowstorm in May. That has happened three years out of the five I've lived in Colorado! Our weather has been warm and then cold. Typical March! Have a wonderful week! I heartily thank you for sharing such a breath of Spring, here we still have so much snow, here in Northern Italy Winter, with cold and snow, has just arrived last week with the Siberian Burian!!! I wish I had daffodils in my garden. Yours are just beautiful! Happy spring to you! We have been battling a terrible storm near Boston as well. It's left all kinds of flooding and damage from astronomical high tides behind...and there is snow this morning and we are expecting a blizzard on Thursday. 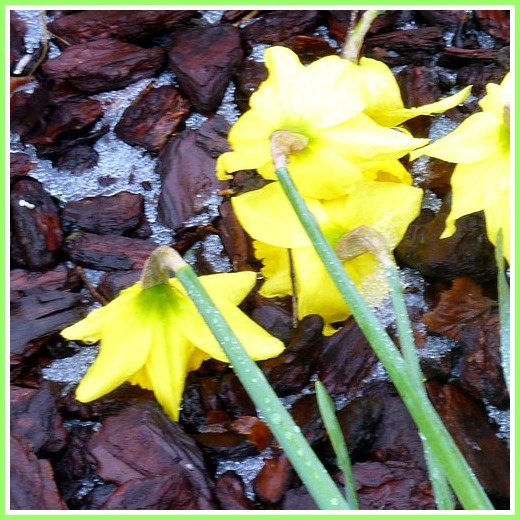 We don't have to worry for our daffodils though as they are still napping under the frozen ground. I am so happy that the hugging treatment worked..i can’t get enough of daffodil pictures...I miss them so (it’s too warm for them to grow here in SW Florida). Thanks so much for the memories and for being here with MM.....Stay warm...I hope winter will be over soon. Your mother sounds like a woman after my own heart! Such a good information of daffodils!So glad to see your daffodils bounced back. They are beautifully flowering in the sunlight. It's always nice to cut them and bring them inside in a bouquet! Well...almost always. One year in NC I cut mine and put them in a holder with antique milk bottles to enjoy. They smelled TOO strong so I set them on the back porch table overnight. The temps plunged, the water in the bottles froze and broke all of my milk bottles. The bottoms broke away from them. I boohooed over that! Not spilled milk but broken milk bottles! I still feel sad to have lost them. Happy MM! Maggie, my few daffodils are now spent. I enjoyed them while their pretty yellow blooms greeted me when I would come and go as they are planted by my front entrance. Now I'm seeing cut daffodils available at the market, so I can enjoy them inside. I'm glad you have had yours to enjoy! Thanks for hosting and have a great week. Poor daffodils, but are still beautiful! We're still having snow here in the north of Sweden, but we were not hit by the "beast". I'm still enjoying our winter wonderland. Thanks for another week of hosting. Thanks,that's good to know. I had noticed today that the daffodils had recovered and were again standing upright.....ours are not yet in bloom tho. Nature is amazingly resilient. I hope winter is indeed dead! Brrr. A cold wind is a nasty thing, especially when the temp is below freezing already. I'm glad you got off fairly lightly with the storm. 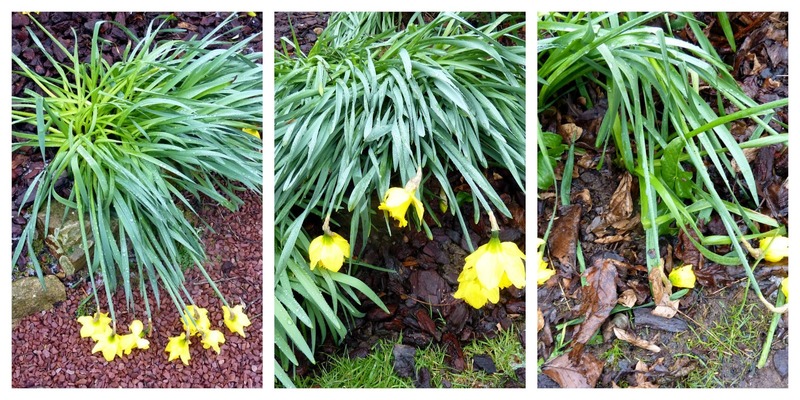 Your daffodils have such fortitude! 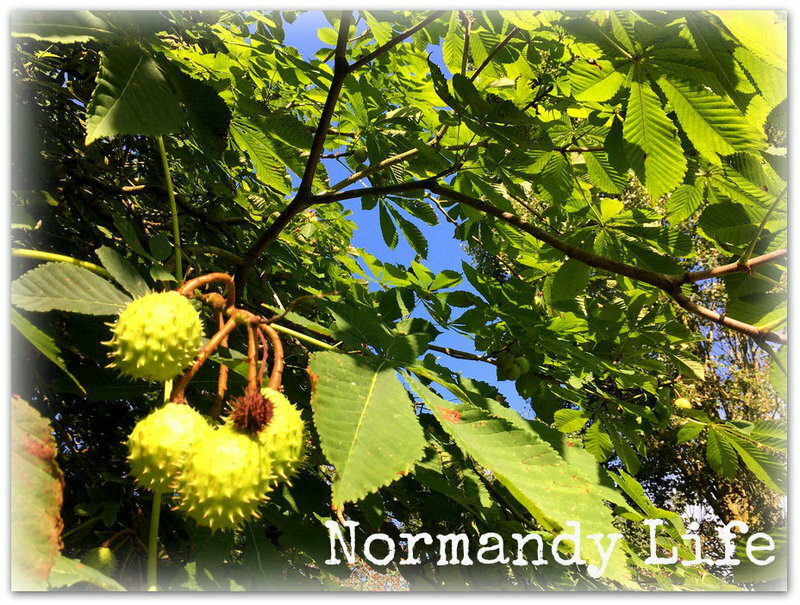 They are such a bright spot in your garden and your home. Love the A.A. Milne quote - winter seems to be hanging on longer than wanted here. Thanks, Maggie, for hosting MM. 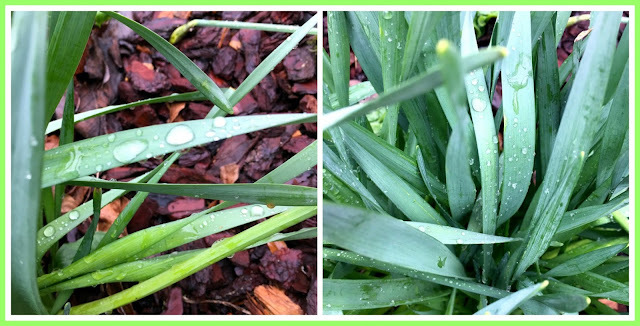 The before and after shots of the daffodils are amazing - resilience defined! And what an adoring gardener you are, to get to the rescue! Your patience and care were rewarded! In the meantime, it's snowing here (again). Thanks for hosting and have a sunny week! Oh, I'm so glad they were saved and I learned something too -- something I may have to put into use this season. I still have sprouts, no flowers yet. But it's only early March and our weather is very erratic this year. glad you avoided most of the snow. Looks like hugging your daffodils did the trick! They are so pretty. Hope you stay warm. Thanks for hosting and Happy Monday! Hi Maggie - great daffodil saves - always something new to learn. Thank you for your 75th Mosaic Monday, always love joining in and visiting. Bless your heart...I would have probably been out there wrapping them in blankets and fretting over them I just know I would. You did the right thing and what a sweet gift for having known. The ones in the containers have a different kind of life, than had been planned, but don't we all sometimes. Spring is my favourite time of year. How amazing it must be to see the daffodils emerging from the cold ground. Enjoy! O my. It's so wonderful to see daffodils! And with your TLC yours picked up nicely. Our spring flowers here have to be hardy because snow and cold are the norm--welcomed ever for the moisture that they provide, so while I worry that the spring blooms are gunners, but they are hardy spirits and recover nicely when the sun warms them. Our daffodils are weeks away--or a couple of months. I'll enjoy yours.